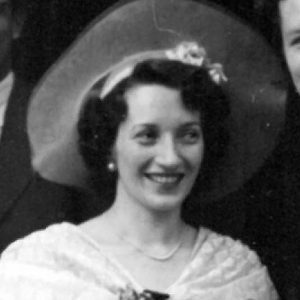 1956 Käthe Stelzer, grandmother of Robert Hübner, purchases the property Prinzregentenstrasse 73 in Munich; commercial and residential space rented out. 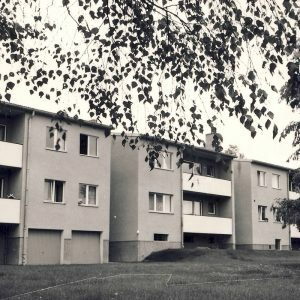 1966 Otto Hübner, Sr. purchases several residential and commercial buildings in Berlin-Charlottenburg and Berlin-Zehlendorf. 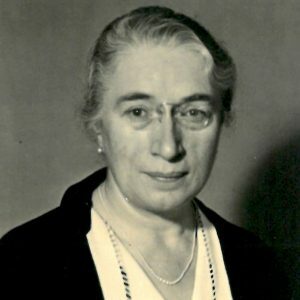 1966 The property in Prinzregentenstrasse 73 is transferred to Ina Hübner, née Stelzer, Käthe Stelzer’s daughter. 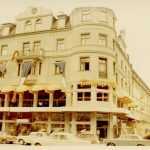 1967 Three-year renovation of the magnificent Prinzregentenstrasse 73 property begins; works include an increase in the retail space as well as the addition of a restaurant for the delicatessen specialist “Feinkost Käfer“. 1984 Droste AG, Berlin is founded by Robert Hübner and Peter Pistor. 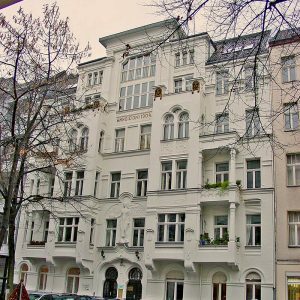 In their first three years, the company managed the renovation and revitalisation of several dozen old buildings in Berlin. 1988 Hübner & Weingärtner Vermögensverwaltungs GbR, Berlin, is founded by Robert Hübner and Manfred Weingärtner. The company’s objective is to renovate old buildings as well as to develop commercial and hotel real estate in Berlin. 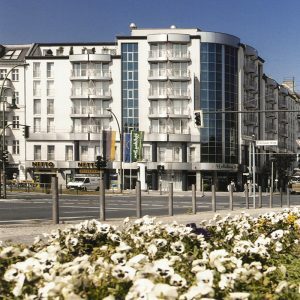 1993 Construction starts on the “Hotel Holiday Inn Berlin City Center East Prenzlauer Berg“, Prenzlauer Allee 169 in Berlin; the 4-star hotel with 123 rooms is opened the same year. 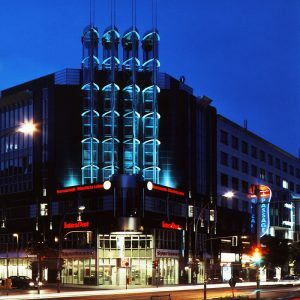 1995 A complex with 2,775 sqm retail and office real estate in Frankfurter Allee 69, Berlin, is completed. 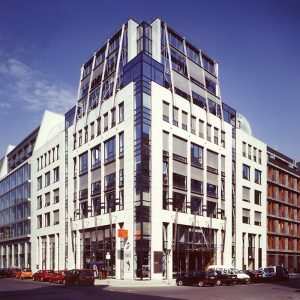 1995 An office complex with 4,400 sqm rentable space is opened in Charlottenstrasse 79/80 in Berlin. 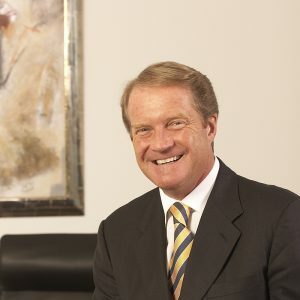 1995 Transfer of management to the third generation of the family; Robert Hübner, son of Otto Hübner, Sr. and Ina Hübner, née Stelzer, takes over sole management of all family-owned companies. 1996 All of the family’s individual companies are centralized under the umbrella brand RH Unternehmensgruppe; focus is laid on real estate management with emphasis on project development of office buildings, hotels, retail centers and residential and business buildings as well as asset management of its own real estate portfolio. 1998 RH Immobilien Management GmbH, Munich, is founded with the objective to manage and cultivate its own real estate as well as the management of shareholds. 1999 S.E.T. Service GmbH, Munich, is founded as a services company for construction planning and implementation, as well as the facility management of the RH Unternehmensgruppe. 1999 Hübner/Dr. Hauptmann GbR, Munich is founded by Robert Hübner and Dr. Karlheinz Hauptmann for the management and rental of its own real estate portfolio. 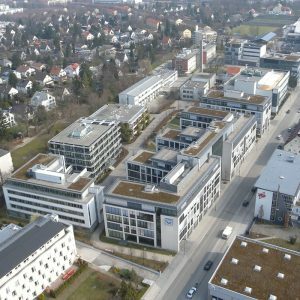 2000 Construction begins on the office complex “Zielstatt Quartier“, Zielstattstrasse 32-48 in Munich; the property has a gross floor space 35,000 sqm. 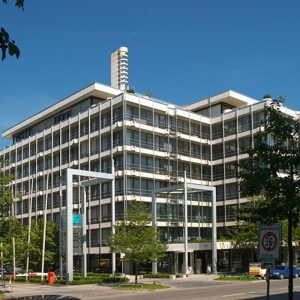 2000 Conversion and expansion of the office complex Elsenheimerstrasse 61-65 in Munich begins; renovation of the old building (14,000 sqm rented space) as well as new construction (11,000 sqm). 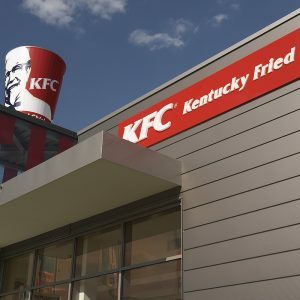 2004 Construction begins on the first KFC (Kentucky Fried Chicken) restaurant in Munich in Hanauer Strasse (completed in 2005); shortly thereafter construction begins on the second KFC restaurant located in Pippinger Strasse, Munich (completed in 2006). 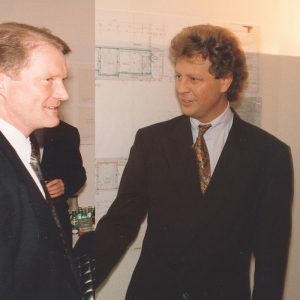 2006 EURAS-Invest GmbH, Munich, is founded by Robert Hübner and Thoralf Becker as the Family Office of the RH Unternehmensgruppe; core business areas are project development, financing and investor consulting in commercial and residential construction, as well as sharehold management. 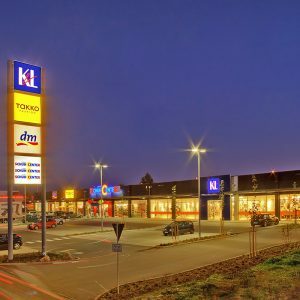 2007 Planning and construction of the retail park “West Erding Park“, Johann-Auer-Strasse 2-4 in Erding, with a total rentable space of 33,000 sqm; completion of construction phases 1 and 2 in 2009 and 2014. 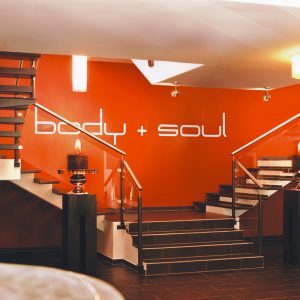 2007 Purchase of shares in the “body + soul group AG & Co. KG“, a company operating fitness centers in the Greater Munich area; 50 percent ownership until 2013. 2008 Completion of the world’s largest KFC (Kentucky Fried Chicken) restaurant in Maria-Probst-Strasse 5 in Munich; inside seating for 140 on two floors, additional outdoor seating on the terrace and own multi-storey parking garage. 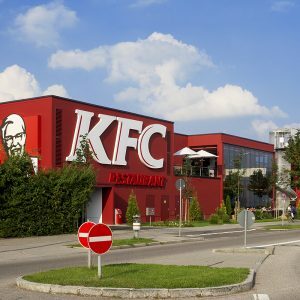 2008 Entry into the foodservice industry as franchise holder for the KFC (Kentucky Fried Chicken) brand; gradual takeover of the three Munich restaurants in Pippinger Strasse, Talstrasse and Bayerstrasse until 2012. 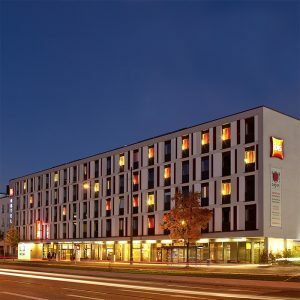 2009 The hotel “ibis München City West“, Westendstrasse 181 in Munich is opened after a construction period of 1.5 years; the hotel has 208 rooms and is rented to Accor Hotels. 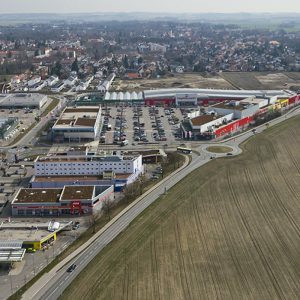 2011 The Mühldorf Retail Center in Siemensstrasse 6-12, Mühldorf am Inn, is opened; the complex has rentable retail space of 3,900 sqm. 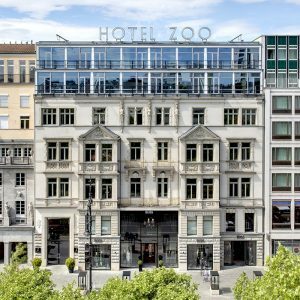 2014 After a two-year renovation, the “Hotel Zoo“ is opened on Kurfürstendamm 25 in Berlin; the boutique hotel with 144 rooms was awarded the award “Hotel Property of the Year 2015”. 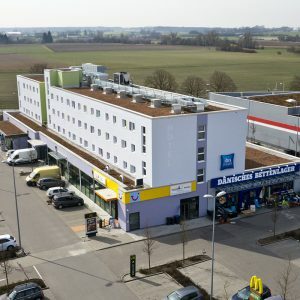 2014 The hotel “ibis budget München Airport Erding“ in “West Erding Park“ opens after a construction period of 1.5 years; it has 106 rooms and is rented to Accor Hotels. 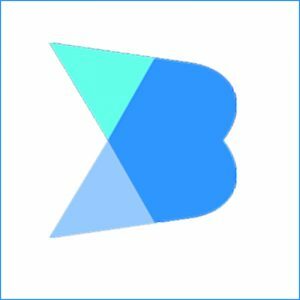 2015 Purchase of shares in “Blankenburg Sport & Health GmbH“, a Munich-based company for physiotherapy, sport and training therapy as well as personal training; minority sharehold. 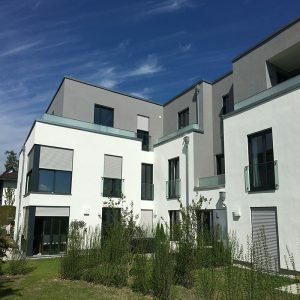 2016 The residential construction project Bassermannstrasse Munich-Obermenzing is completed; it consists of two townhouses and six apartments in the premium segment as well as ten underground parking spaces. 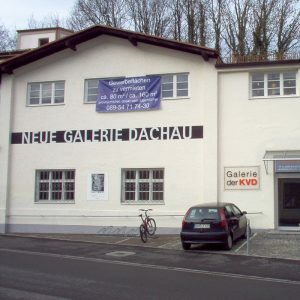 2016 Purchase of the property “Gewerbehof Dachau“, Brunngartenstraße 5 in Dachau, a property with a long and rich history; rentable space 4,650 sqm. 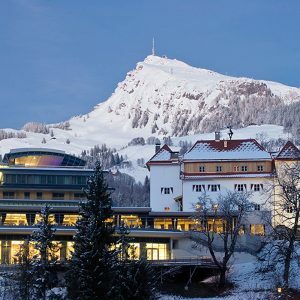 2017 Acquisition of the luxury hotel “Schloss Lebenberg“ in Kitzbühel, Austria, with 150 rooms and suites as well as spa and conference areas; leased to Austria Trend Hotels, Vienna. 2017 A residential building plot is purchased in Hubertusstrasse in Munich-Grünwald to build three villas in the premium segment. 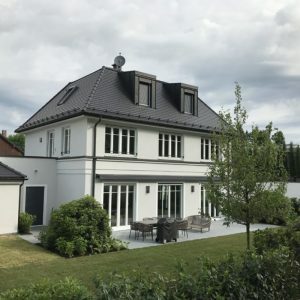 2018 A residential building plot is purchased in Dr.-Max-Strasse in Munich-Grünwald to build three villas in the premium segment.